Sometimes some very odd thoughts can cross your mind when you have time on your hands and this is one of them in my case – why are there so few dinosaurs illustrated in black and white. I don’t mean a black and white illustration – there are thousands of them – I mean the actual patterns and colours of the animal. The only one I can think of off the top of my head is Luis Rey‘s pictured theirizinosaur (though of course I might have missed plenty or simply can’t remember ones I have seen) and when you think about it, it was probably common in at least some archosaurian taxa. Zorrila & skunks, orcas and pilot whlaes (+ others), various badgers, penguins, zebra, a great many seabirds (gulls, albatross, oystercatcher, pelicans etc. ), many raptors, lemurs (indri, shifaka, ruffed), monkeys (e.g. colobus, some tamarins), Malayan tapir, snowy owls, panda, magpie, snowflake moray, humbugs (a reef fish), storks, minature hornbills, several aracari, at least two dogfish, monitor lizard, krait, some geckos, porcupine, snow leopard, convict cichlids. Quite a list really all things considered, and it covers a huge variety of vertebrates. There are some obvious reasons for being black and white which I will touch on, but I would point out that across the list as a whole, there is a huge variety of patterns (spots, stripes, bands, bars, rosettes and general swarthes of dots and scales) in addition to the variety of taxa, environments, ecology and habits of the animals included. So, why be black and white? The most obvious immediate answer is contrast, quite simply, you can’t get a better disparity of colours than these two if you tried and that makes them stand out against each other (especially at night e.g. the zorilla) and against a great many backgrounds. This can work as camoflage in a prodominently white background (like snowy owls, or countershading in penguins), or as warnings in non-white ones (like the krait), or just to be easily spotted in terms of advertising (like male colobus) or social signalling (zebras). However, obvious as these are they certainly can’t explain all of them. Not that I have read up on them in detail (becuase this ‘short’ post has gotten way out of hand and I wanted to talk about dinosaur art) but why the hell are tapirs so patterned for example? They are solitary, avoid sunlight like the plague (it actually gives them severe cataracts), spend a lot of time in water, only really have leopards as predators, do not have camoflage (unlike their offspring) have no real need to signal anything (including offspring who can follow mum’s black behind with no problems) or anything else I can think of easily. Why are so many seabirds in black and white? Countershading is the obvious answer, but then why not blue and white or grey and white – why black? It might help with heat exchange (balck really helps you warm up) but again, this can’t explain the variety of patterns or the variety of species in whcih the blakc and white patterns occur. Right enough of that for now. Back to the palaeoart. I hope I have shown a fair number of reasons why an archosaur might have been black and white, and demonstrated that it occurs in all kinds of vertebrates (anyone know of a good amphibian example?) living all kinds of lives in all kinds of environments. So the next palaeoartist who drops in here (and I do know of a couple) might want to think about some more monochrome archosaurs in their next piece. That is a neat thought. I personally have played with black and white on my 3D Dinos, but just for the heck of it rather than thinking it through smartly like you have. Its funny how silly a 3D properly lite B&W Dino looks compared to the nice inked or painted B&W ones. It works much better on paper than brought to “life” in my experience. I’ll fire off one of them into a post shortly if you’d like (I’d never dared post them without a reason to showcase the silliness). I’m sure I’ve seen pterosaurs rendered in black and white. IIRC Istiodactylus (Ornithodesmus as it was then) in Wellebnhofer’s Illustrated Encylopedia of Pterosaurs is black and white, (with a yellow bill). He gave Quetzalcoatlus a red head, but the fur was monochromatic. Yes that’s true Dave, thanks for reminding me. Actually I think pterosaurs (especailly many of the big marine ones) would be excellent candidates for this kind of colouration (more so perhaps than dinosaurs) on the main body at least, though those crests would still be brightly coloured. 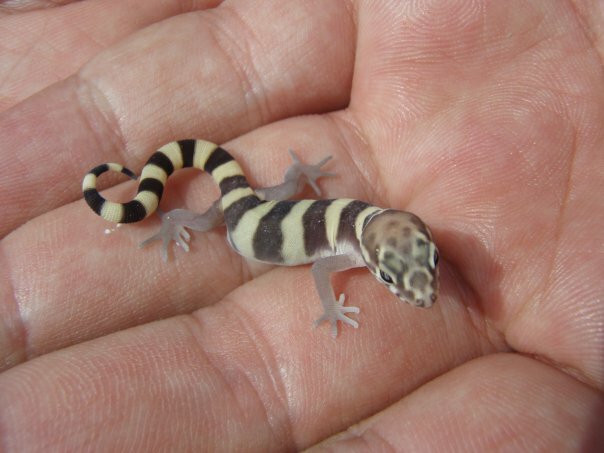 Until recently I had no idea but a student of mine identified it as either a Western or Texas Banded Gecko. As a very young juvenile it’s hard to say. 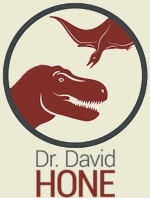 The smaller theropod dinosaur would have had a large range of patterns, given that they could rapidly adapt. They also had the luxury of feathers. 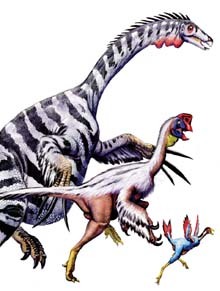 On the flip side larger dinosaurs would have roamed a huge area, covering a multitude of varied habitats. Investing in a pattern only works when you become a specialist…minus leopards(though even they normally hunt in woodland). 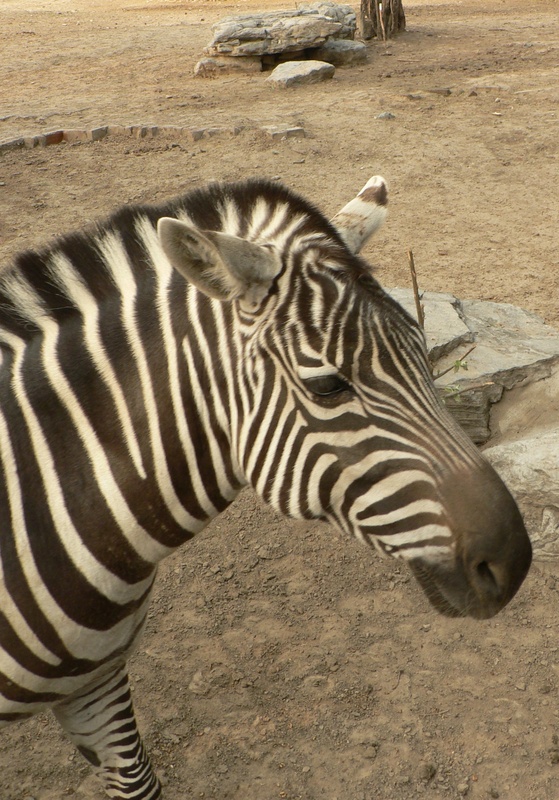 Zebras only live in one kind of habitat. Living in murky waters, orcas may have needed to quickly spot each other but the nature of their hunting strategy requires little camouflage. Animals that live above or below the surface of water benefit from a high contrast color scheme for it resembles the shimmering of ripples (a.k.a. sea birds etc.). Given that dinosaurs where huge I highly doubt any patterning would have been sufficient enough to hide their silhouette from the other species present. Mating displays may have incorporated a colorful head, back, or tail but such displays would have no counterpart within modern repites and can only be found in birds (again only small animals). When you become a gigantic organism in evolutionary terms, the premier factors in mate selection is size. The species doubles down upon the traits that have proven successful. The mink whale is the largest species today with any kind of distinguishing pattern. It is the exception to the rule. If I where to illustrate a large reptilian land vertebrate its colors would look more like an elephant and less like a peacock. Such colorful risks would be viewed skeptically by science and few would find the particular pattern chosen to be accurate. Sorry but I just don’t buy this and I’m afraid a bunch of your examples are way off. Grevy’s zebra specialises in brush, not plains. Leopards and jaguar both range over a wide range of habitats as indeed to tigers and several other large carnivores like hyenas. Species as whole might cover a wide range of habitats, (like lions and leopards say) but individuals or populations generally do not. And you also seem to think camoflage is the only reason for any kind of patterning – signalling (in all it’s forms) can be much more important. A sauropod that wanted to show off it’s dominance (and might be effectively immune to predation) can be any colour it likes really.